A few months ago, during the first Nintendo Direct of 2018, a rather unexpected announcement was made: Ys VIII: Lacrimosa of Dana, the latest entry in the long-running Ys Series, is headed to the Nintendo Switch this Summer. It will be the very first time in many, many years that such a game is released on a Nintendo platform (not counting the Virtual Console releases, and the dubious Nintendo DS games -not developed by Nihon Falcom themselves-). Unfortunately, we still don’t know when the game will be released in the west, as NIS America has only given us a vague “Summer” release window. But thanks to the usual early leaks from Famitsu magazine, we already have the release date for Japan! 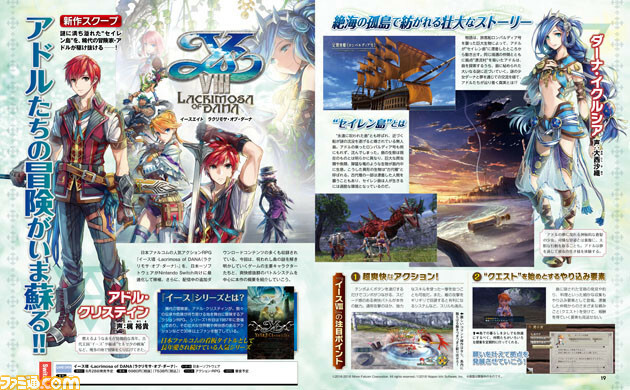 According to the magazine, Ys VIII: Lacrimosa of Dana on Nintendo Switch will be released on June 28th in Japan. It will cost 6 890 Yen (+ taxes? ), and will include all the DLC released for the PlayStation 4 and PlayStation Vita versions. It’s not clear whether Europe and North America will get the game on the same day, but considering it’s already been localised, and Nippon Ichi Software is publishing it worldwide, it’s likely we’re getting a simultaneous release. Nothing is confirmed though, so as usual, it’s better to wait for an official announcement before celebrating… especially since the official announcement for Japan is still to come! The latest issue of Famitsu magazine will be released on Thursday in Japan (Wednesday morning/afternoon for North America and Europe, respectively). 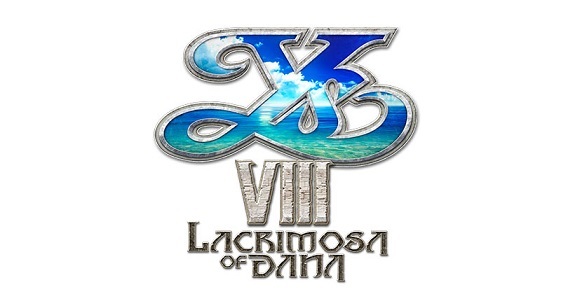 Ys VIII: Lacrimosa of Dana (Switch) comes out on June 28th in Japan, and this Summer in Europe and North America. The Upcoming Games page has been updated!